Let's start with the basics…what is sailing to you and when did you start? I started sailing when I was 7 years old. I love sailing for its ability to be a lifelong sport and the variety of sailing you can do. You can head out on the water for a cruise with friends, stay overnight on a boat, or you can go the competitive route like I have and pursue your Olympic dream. 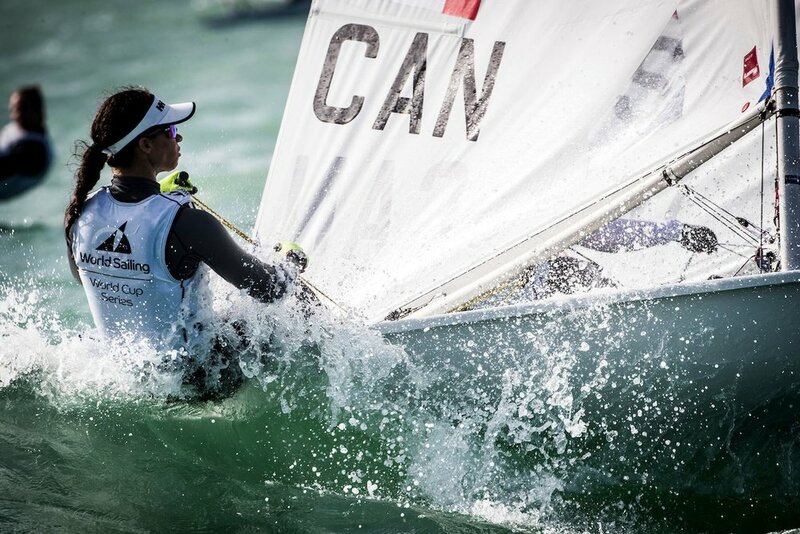 You have made sailing your full time job as you pursue your Olympic dream. Can you tell us a bit of what you have been up to recently with your sailing career? 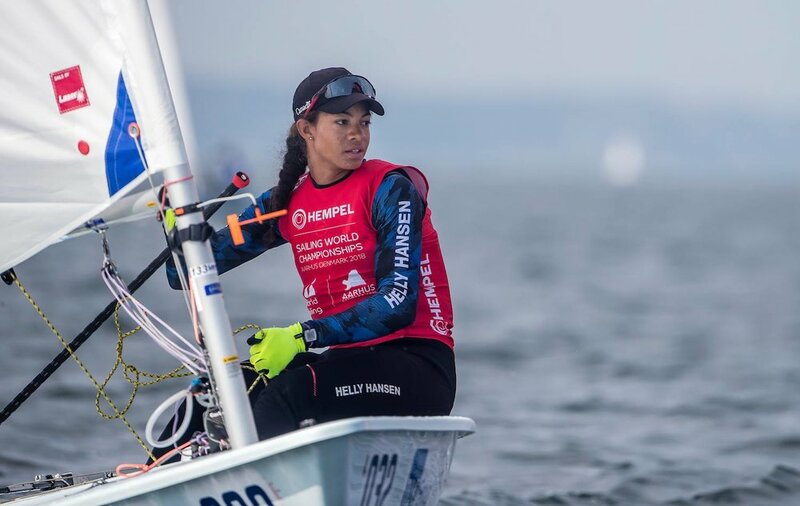 I have been travelling all over the world for sailing and competing in the World Sailing World Cup Series and many other international competitions in order to prepare myself for the Tokyo 2020 Olympics. I recently qualified Canada a spot for the 2020 Olympic Games and I hope to qualify myself for Tokyo this summer at the World Championships in Japan. Amazing! Congratulations on getting Canada that spot for 2020! What an amazing achievement. When I mention I am a sailor, or that I coach sailing a lot of people are shocked to realize what it really entails. I think the stereotypical view of sailors is what people usually assume of the sport, and many people were shocked when I would mention it is a sport in the Olympics. I’m sure you also get a lot of comments similar to that, but what is something you feel people wouldn't know about being a sailor? The physical aspect of sailing. The Laser Radial is very physically demanding, and racing is often described as; running while playing a game of chess. YES! 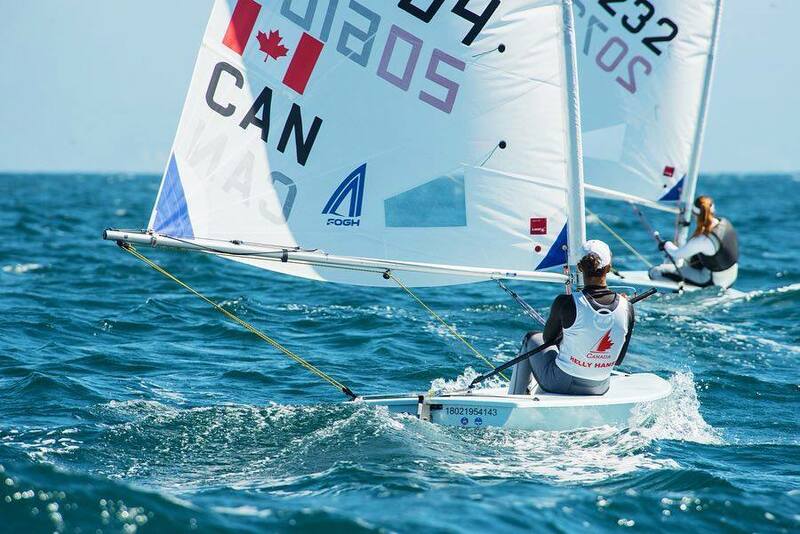 I also sailed the laser radial and it is essentially a constant full body workout. The analogy you use of running while playing chess is so accurate. For our readers who don't know, when you compete in a sailing regatta, you are participating in races throughout the day. Each race can last around 45 minutes. That is 45 minutes of physical exercise as well as constant strategic planning. You have to see the whole racecourse and plan your next move and that all depends on what your opponents are doing, what the wind is doing, what the water is doing, etc. It is a beautiful combination of physical strength and endurance, mixed in with strategy. That being said, an athlete of your caliber will have quite an intensive on and off water training plan. What does your training schedule look like? I have a very busy schedule. I am on the water around 160 days of the year and train 5-6 times in the gym. I am an Olympic level athlete and the proper nutrition, fitness and training schedule is required. You travel a lot to compete in various regattas, where is your favourite place to compete and why? I get to travel a lot for sailing. Currently, my favourite place to compete is Palma de Mallorca, Spain. I love it for the great sailing conditions, Spanish food and gorgeous scenery. Since sailing is a nature dependent sport and travel is necessary to train for Canadian sailors, are there any downfalls to having to travel frequently? Living out of a suitcase can have its downsides along with constantly missing friend’s birthdays and events back at home. I get to see a different perspective of every place I travel to. The view from the water is something many people may never experience. Any advice for someone who is looking to compete full time in their sport? It first starts with your mindset. What characteristics do the world’s best in their sport have, how do their approach their sport and be aware of what it takes to be full time and the daily discipline it requires. How do you get your #HIHmoment? I get many Healthy is Hot moments in my everyday life. It can be from getting a good night’s sleep after a training day, seeing the progress in my fitness from the daily discipline or going past my steps goal when exploring a new country. I hope you all enjoyed this quick little chat with Sarah, and I encourage you all to check her out on all her social media outlets. She is very proactive on there, and I absolutely love getting updates on where she is in the world and how she is representing our sport across the world.